Posted 19th November 2018 & filed under Cosmetic Surgery. Over two decades ago there were some concerns that in a small minority of patients breast implants could be responsible for systemic joint pains and non-specific fatigue-type symptoms within the body. The so-called ‘silicone crisis’ was thought to be due autoimmune-mediated events within the body. Whilst independent government scientific reviews around the world have concluded that there is no apparent causal relationship between silicone and auto-immune mediated problems, it appears there maybe a very small group of patients who present with a variety of unexplained symptoms and seem to get better when their implants are removed. This condition has been termed Breast Implant Illness (BII). It is still currently debated by the general medical community regarding the significance of these anecdotal reports and further research is required. However, despite this ongoing controversy, Mr Banwell has seen the significant (and sometimes immediate) benefits of explanation in these patients where it appears as though their immune system may have caused a hypersensitive response to the breast implants (a predisposed individual may have a family history of autoimmune problems and can also be affected by any other implanted foreign bodies such as dental implants, orthopaedic implants and heart implants). 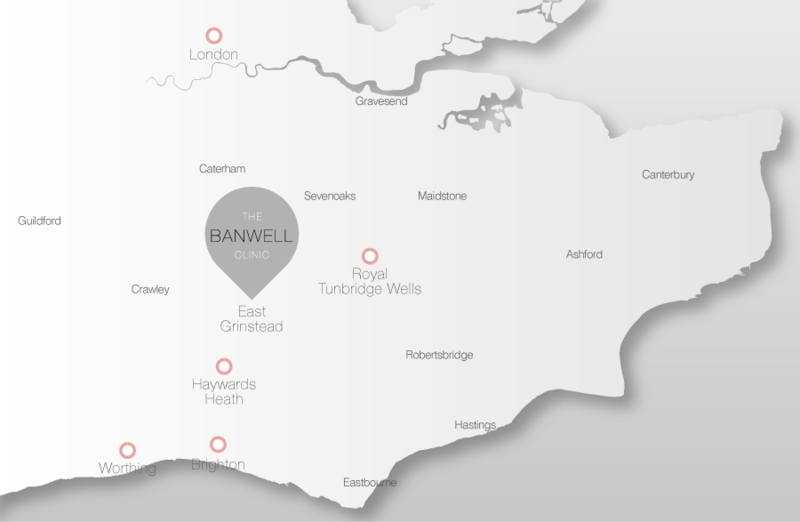 If you think you may be affected by this please do call the office to arrange a consultation with Mr Banwell in East Grinstead, Tunbridge Wells, Brighton, Haywards Heath or in Harley Street London. The office number is 01342 330302. Email help@banwellclinic.com. Mr Banwell is happy to discuss explant surgery and en bloc capsulectomy as required.